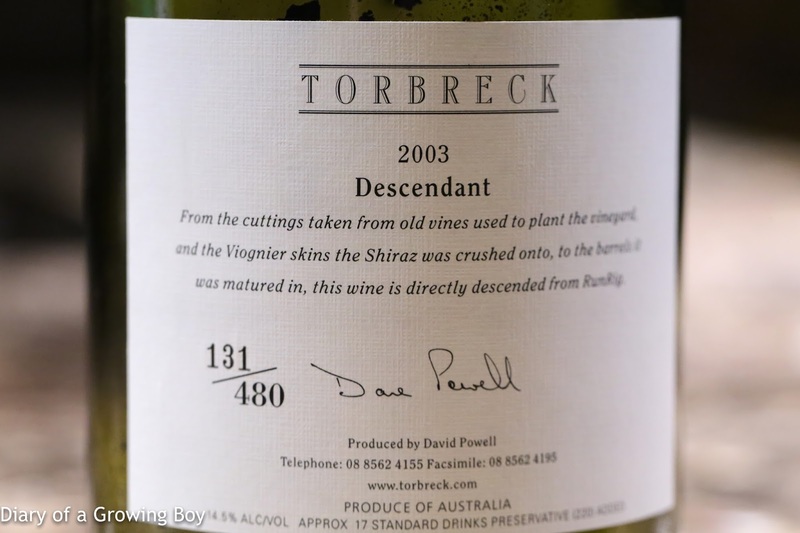 2003 Torbreck Descendant, from magnum - sweet and jammy as expected, with lots of fried herbs. 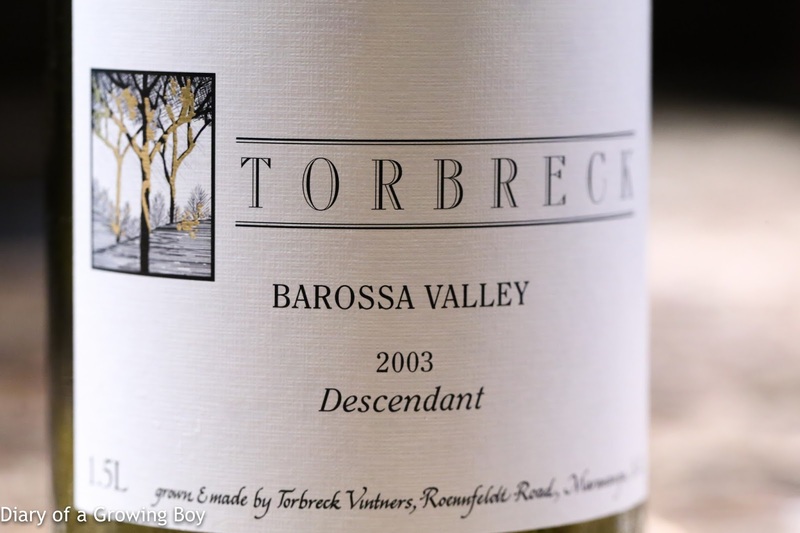 Actually good acidity here, and the wine has softened enough while retaining concentration. Lots of oak and eucalyptus. Very fragrant.